The parade of birthday party invites from my daughters’ classmates and friends never seems to end. By the time it’s my kids’ turn to throw a their birthday parties, I start to feel the pressure; every party idea seems like it’s totally old news. Being in the dessert business, I sometimes feel the pressure to make a big fancy cake. But life gets in the way, and I realize that elaborate cakes are completely lost on little kids. 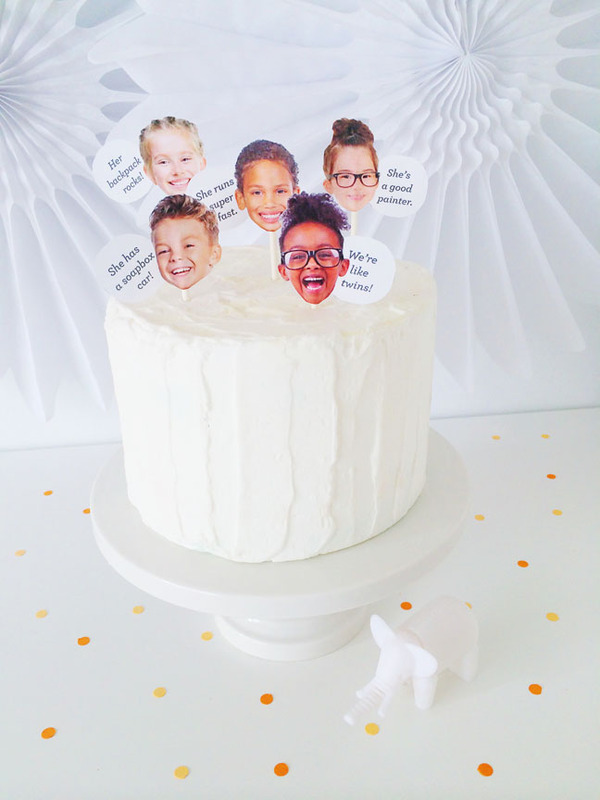 That’s where these easy DIY birthday cake toppers come into play. They’re the perfect way to dress up a store-bought birthday cake. 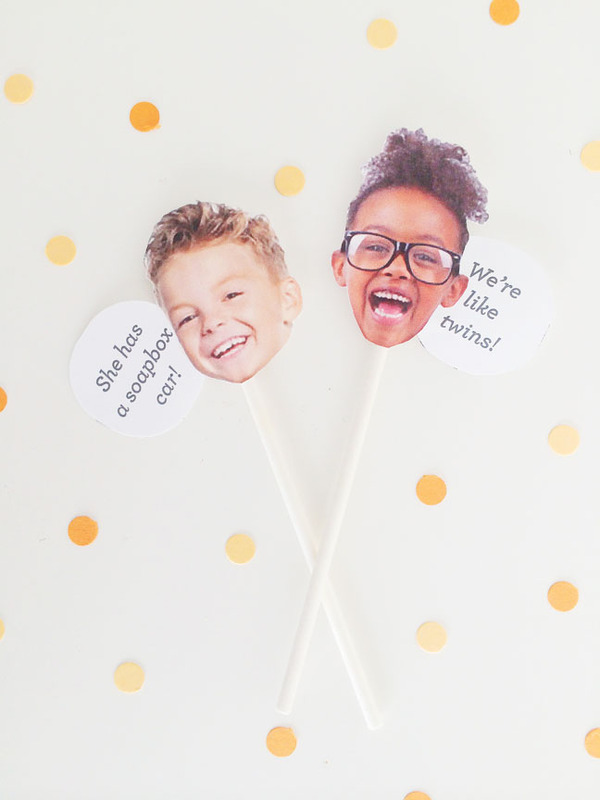 A few snapshots of your kiddo’s classmates and a blurb about what they like about the birthday boy or girl is all you need to whip up these offbeat toppers. Don’t worry, the other parents can make this super simple. 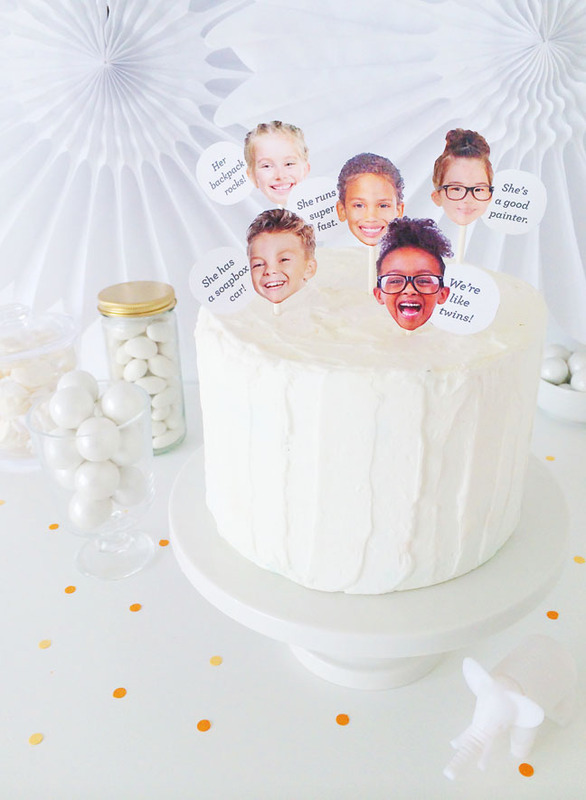 Not only will your kid get to learn what special things others like about them, but you’ll probably get some fun replies to share during the birthday party. Step 1: Obtain pictures of your kid’s friends. School pictures and candid photos on your phone are great sources. Select images that have a clear image of the child’s face. Using scissors, cut around the child’s face and hair. Continue for all images. Set aside. 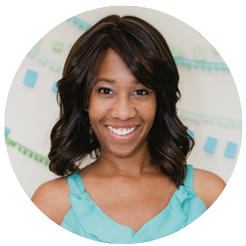 Step 3: Print the messages, and use a 1.5″ circle punch or scissors to cut out each one. Step 4: Match the child’s photo with their message, and adhere the message bubble behind the face using a glue stick. Be sure not to obscure any part of the message with the child’s picture. Repeat for each kid. Set aside to dry. Step 5: Apply a small strip of transparent tape to attach the lollipop stick to the face. Step 6: Arrange the toppers by staggering their heights so that each message is visible.